Hell yeah i like playing hard games, espically when its a survive or die situation, so i have listed some of the best survival games for android. We will try to keep this article uptodate, so you can bookmark and maybe check back few days later. Lets look into list without wasting time any more. 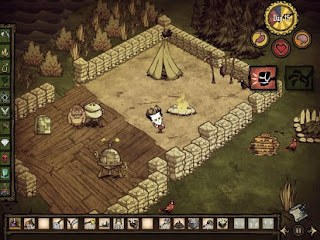 Surviving over this game is not so easy, you need to craft, find food, Built a shelter and craft tools to protect yourself. This game has good review with so many download, Best replacement of Last Day on earth. This is game come under survival genre but still it’s a mixture of Adventure too. 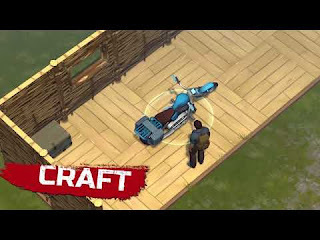 But there are few bugs over connectivity and other things which make the game to come over last in the list of Best Survival games for android. In this game You can experience the uncompromising wilderness survival game full of science and magic on the go! You enter a unexplored world of strangers who are very dangerous, you need to gather items to craft and need to survive. Overall the game is so amazing but only thing is it’s a Paid game, you need to buy it over Google play store. In this game You need to figure out the key to survive in world of zombies. This is an FPS game and more ever you play this game offline. With that much of downloads Dead Target manage to have 4.5 Stars of review so it’s great. Dead Target is an Best Zombie survival game for android. Day R Survival is a Role playing Game with Survival genre. In the world which is destroyed by nuclear war, you need to avoid radiation and the main moto is to stay alive. Collect resources, You can craft, build and survive. 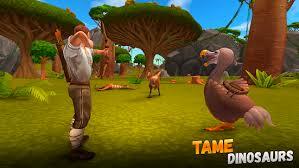 This is an Dinosaur Survival game with the combination of adventure genre. There are 80+ dinosaurs you can train, ride and breed them, and much more to do. 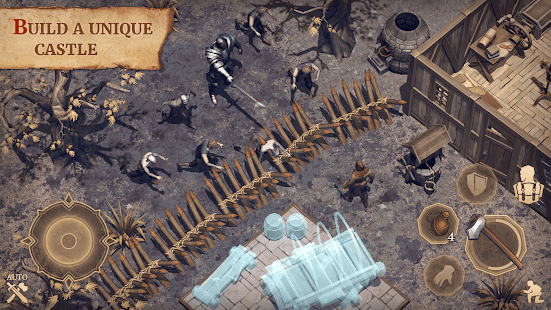 You can craft, build and explore adventures world in this Survival game. The graphics are as similar as the PC Version, The only main drawback it doesn't support all devices and has more bugs to encounter. Minimum Requirements- 3GB Ram. Another copy of Last day on Earth, This game has over 1 million+ download with a good review of 4.2 stars. 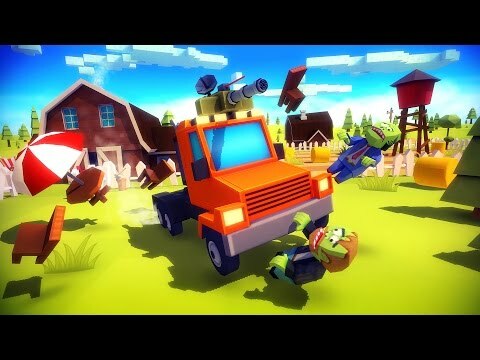 In this game you need to survive in a world with full of zombies, you need to craft weapons, build shelter, protect your valuable things from other players. It's a PvP online game where you find other survivors in some maps so you need to protect yourself to survive. 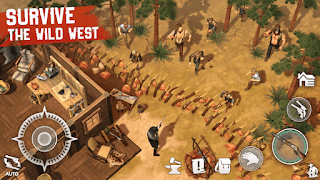 In this game you survive as CowBoy in wild west, you can craft things like weapons, build shelter and fight with other players online. With decent graphics and good controller, easy to play game. Even this game has over 1 million+ downloads and had a good review of 4.4 stars overall. 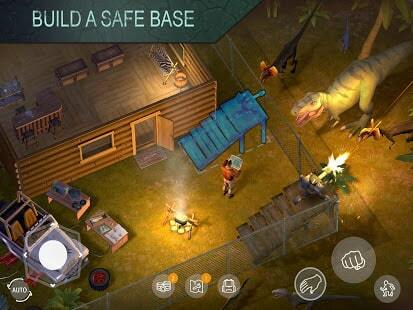 Another Dinosaurs Survival game which is similar to LDOE but only difference is you face Dinosaur instead of zombies. You have to hunt, collect resources, craft things and Build shelter to survive. This game has decent maps, good graphics and time killing experience. You can team up other players and Build a common village. Withillion+ downloads maintained a good ratings of 4.4 stars. This game is a Text based quest Survival game for Android with elements of science fiction, Horror, occasional humor , depending on your choice you can alter the story and the adventure. The game is 48mb in size with 1 million+ downloads and 4.5 stars rating. Another copy of Last day on Earth, but has different designs and looks. It's a MMORPG (Role Playing + Survival Game) and to survive you need to craft weapons, explore the world and collect resources, build the shelter and more. Graphics of the game is decent and controls are bit messy. 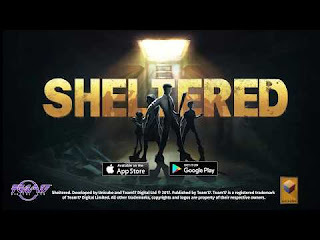 This was released in Feb 2018 and so soon has 5 million+ downloads with 4.5 ratings comparing to other Survival games for Android. This is game is an adventure survival game. With only 60 seconds left to impact, guide Ted in a mad, intense and action packed dash through his house in search of his family and useful supplies. Scavenge, Prepare, Survive, and Decide. This game doesn’t have good review, it has only 3.9 stars and more ever it’s a paid game. This is an Zombie fighting game where you to survive from zombies. The story about scary zombie games shoot with shooting real zombies is going on in the 2030s, when the survival zombie invasion lands in the United States. Overcoming the levels in survival zombie games is a very difficult task, with the number of zombie THE STREET fighter increasing. 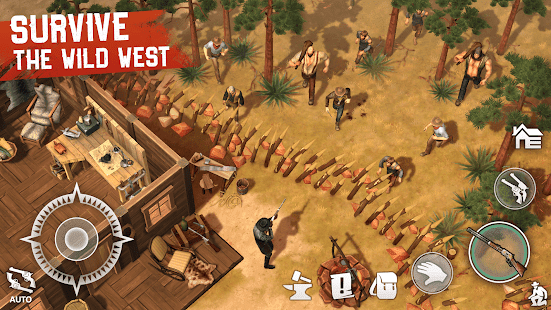 This game has over 500k downloads with 4.5 rating, so this is considered in list of best survival games for android. 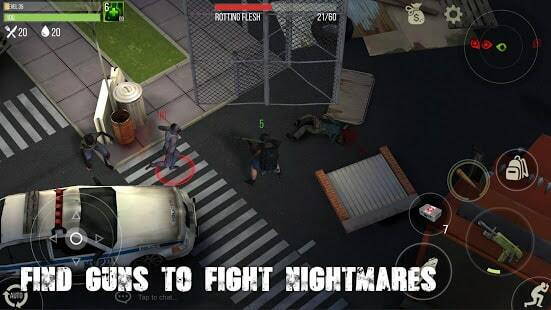 In this survival game Zombies roam the streets everywhere. A handful of survivors fight their way to safe haven, a military base on a far island. 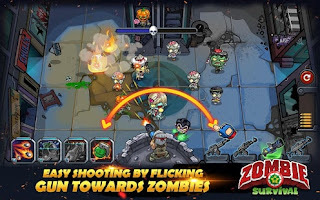 Smash zombies with your car, help other survivors with their tasks, race against time in time trail, with the vibrant cartoon graphics. The size of the game is pretty low, its only 19mb and has good review too. Another Dinosaurs survival game for android, in this game the island is worse than the apocalypse, because you are not alone here; you are inhabited by dangerous dinosaurs. You need to survive, craft, build and hunt on the island. 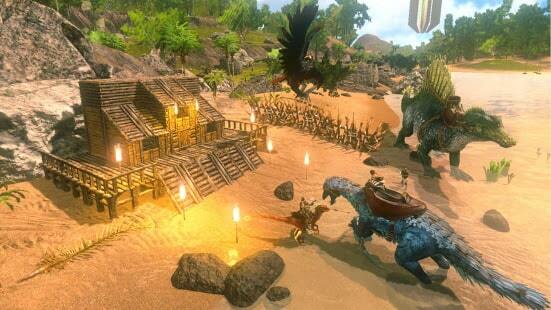 Dozens of new weapons, Different types of dinosaurs, improved fighting skills, building and crafting. Sheltered is an strategy game with survival genre, this game gives a whole new meaning to the term ‘nuclear family’. You need to collect supplies as much as possible to concrete underground shelter that will soon become your family home in future. The weapons you can craft from resources could tip the scales of life or death in your favour. This an paid game, you need to buy this game over play store and has good ratings of 4.5 stars. 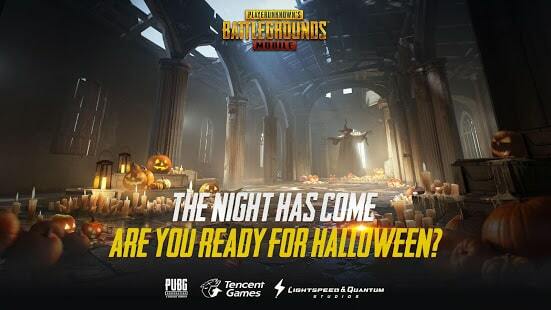 ROS is developed by NetEase, the gaming company who has developed very famous games like Identify V and more. 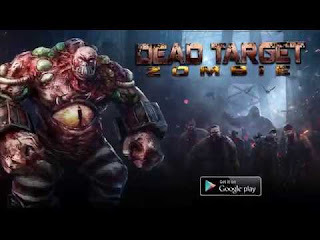 This is an Action game very similar to PUBG but the main goal of this game is to survive in the island of 100+ active real opponents who are eager to kill you. But the size of the game is way big 2GB approx. and you should have a decent phone with minimum 3GB ram to have a stable play. 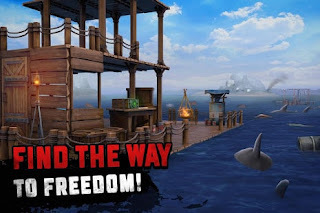 LDOE is very famous and best survival game for android, this game has more potential, there are many copycats, but this game was the one which came first. In this game there are lot of things you can do like breed your pets, Craft weapons, Build house, Craft vehicles, Explore new maps and more. In some maps you will find other survivors too, you need to survive to be alive. Collect resources craft new things. Over 50 million+ downloads and maintained a good review of 4.5 stars. The last maverick is an ocean survival games with new enemies, items, RPG elements, survival on an island and ocean exploration on a boat. You have Hundreds of weapons and items, Open world exploration and realistic graphics. 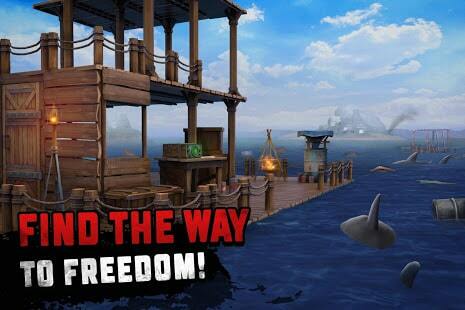 Catch items and resources with you hook, Craft, Build and upgrade and defend your raft, explore the ocean. Do i really want to tell something about PUBG, about 99% people knows this game. This is an Action game but the main goal is to survive be the last man standing to have the chicken dinner. Recent update from Google play store on 2 Dec 2018 announces PUBG is the best game of 2018. 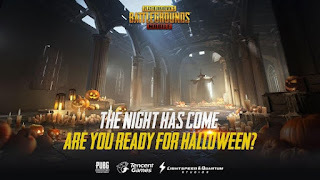 Nothing more to say all knows how popular PUBG is and so this game is on number one in this list of best survival game for android. 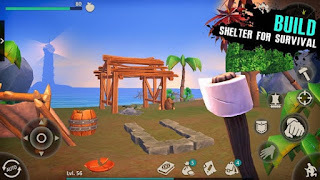 This were some of the best survival games for android, i hope you're satisfy with the list, if not any games you think should be added in this list please leave a comment so that i will have a look and added it over here.